The film Flight Crew competed in Russia with Hollywood blockbusters by selling nearly 5.5 million tickets. In Nikolai Lebedev's new film Flight Crew, which is scheduled for worldwide release after success at home, passengers move from one airplane to another mid-flight. The film Flight Crew is a unique occasion for the Russian film industry. This technically sophisticated blockbuster indeed looks like one of Hollywood's best disaster films. 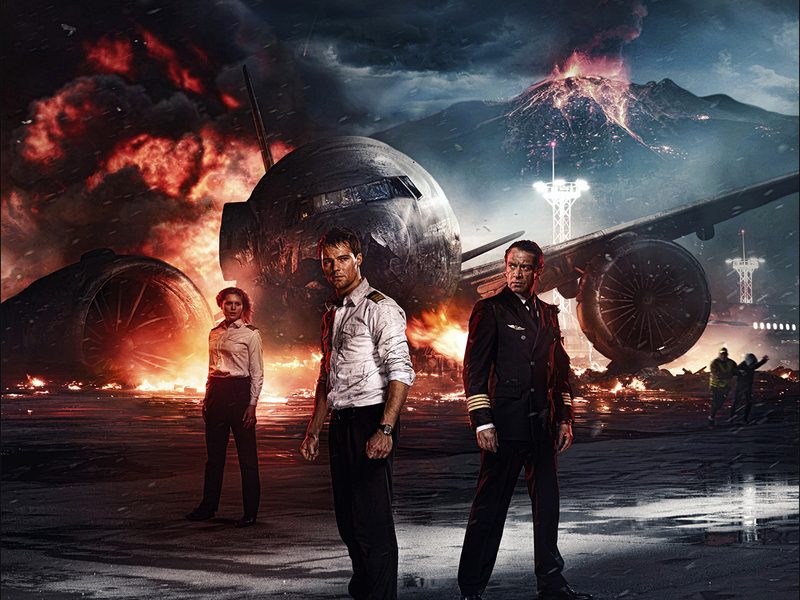 The plot involves a commercial plane that must evacuate passengers from a burning airport on a volcanic island. It is a story in which an intense plot intertwines with strong characters. The $10.3-million action film competed in Russia with Hollywood blockbusters by selling nearly 5.5 million tickets, an impressive number for a domestic release. Lebedev elaborated further in an interview with RBTH. RBTH: Where did you film everything? And what are the islands where the earthquake took place? Nikolai Lebedev: The place is supposed to be somewhere near the Aleutian Islands. This place is cold – there are no inhabitants. But there is an international company there and people work shifts at a metallurgical plant. Then there is a volcanic eruption and people find themselves in a difficult situation: Russians, Americans, French, Germans, Chinese. The film has an international crew with actors from various countries. Irek Hartowicz, the DP [director of photography], lives in America. The production group is Russian. Concerning the filming, we made an agreement with Moscow's Vnukovo Airport. They were interested in the idea and let us shoot some important scenes there. For the dangerous episodes we built a destructible mini-airport at Zhukovsky Airport near Moscow. We brought planes there that were out of use and some that were still functioning. All of this had to be blown up, burned and broken down. We broke floors and ceilings. RBTH: Throughout all the action it is possible to feel your passion as the director. I got this feeling like you were playing your favorite game, not worrying too much whether the events unfolded realistically or not. N.L. : Yes, the passion was enormous and in a certain sense it is conditioned by Mitta's Air Crew, which I loved as a child. That was the first Soviet disaster film. I was so impressed by it that all my life I have wanted to make something similar. I literally dreamed about making a disaster film. When I was a schoolboy I constructed a film set, made fires there, did God knows what and dreamed of shooting it all one day. And then I got my own Flight Crew and understood that it is rather difficult to do. It's hard to make a film when everything around you is exploding and burning, when there's an icy wind in the airport, masses of people are moving and there is real danger. There were two months of night filming alone. Believe me this [kind of work] is not for the faint-hearted. Regarding being realistic and believable, I've always thought that currently cinema is trying to find believability where it's not supposed to be. Cinema that just reproduces daily life nails viewers to the ground, depriving them of wings. RBTH: Out of all the episodes, which was the most difficult, technically or just from a human perspective? N.L. : The catastrophe was difficult to film. Both from the technical and director's viewpoint this is an enormous challenge. This episode is huge, it lasts for over an hour, but it must be perceived as a single scene: you inhale and then exhale only after the plane's successful landing. This is difficult to invent, to set up and it is technically difficult to film. It is difficult to draw changes in the natures of the characters without missing the nuances. All this time I practically didn't sleep because at night we were filming and during the day I didn't have time. Filming indoors where everything falls down in the fire was also difficult and dangerous. We built special structures that had to fall at a precise moment and not earlier when the protagonists were on them. If they had fallen when the actors were on them, we would have had a tragedy. That is why everything was worked out thoroughly. As a director it was difficult to shoot the episode with the passengers moving from one plane to another mid-flight. When one of the characters mentions the idea on screen, someone in the audience would usually laugh and say it's impossible. But as the scene developed the laughter died down. With the way the action unfolds on screen the viewer is forced to empathize and believe in the success of the mad undertaking. It was important for me to convince the viewer of the possibility of the impossible, have him feel the story emotionally. Watching Shakespeare's Hamlet we understand that in reality it is doubtful that a ghost would come to visit the prince and start speaking to him. But we believe in the emotional truth of the moment. It’s the same thing here. It was important for me to justify the situation emotionally. And when I saw the reaction in the audience, I understood that we had succeeded. Read more: What do Hollywood stars have to say about Russia?